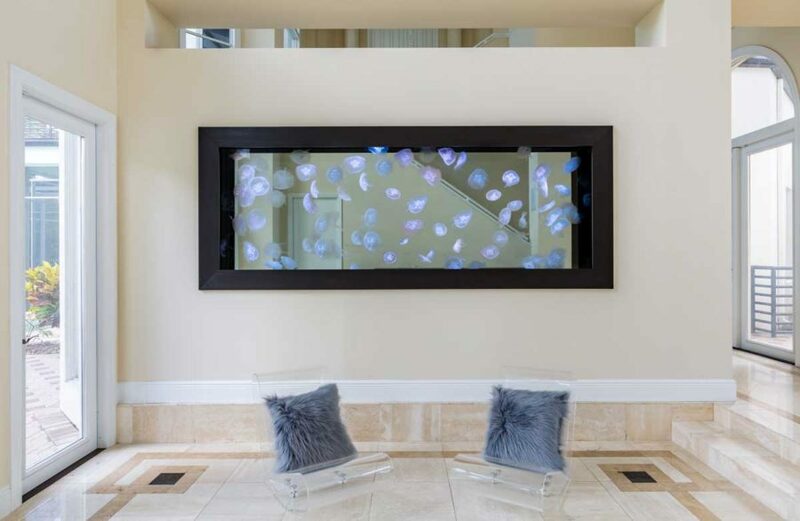 320 Gallon Custom Jellyfish Aquarium - REEF AQUARIA DESIGNREEF AQUARIA DESIGN | Every great room deserves a great aquarium. When your client has a Super Bowl Party deadline, there’s no room for error. 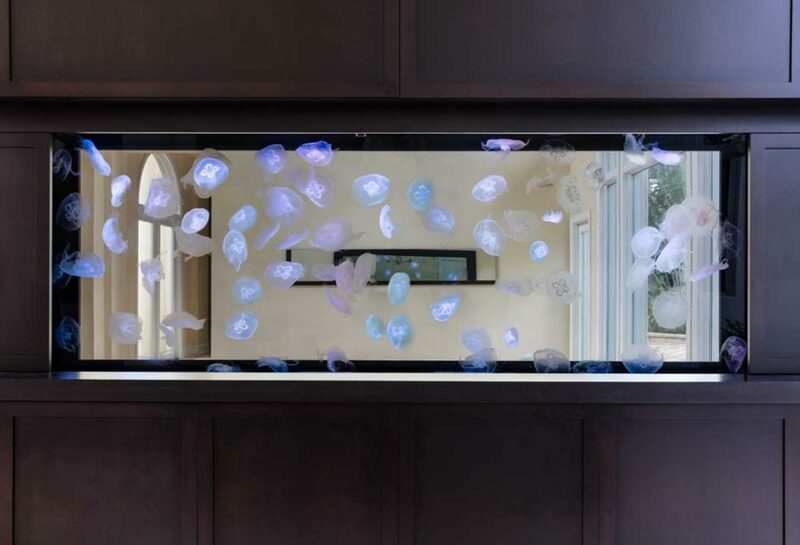 This room dividing jellyfish aquarium is visible from all angles of this home and packed with over 90 aquacultured moon jellyfish. 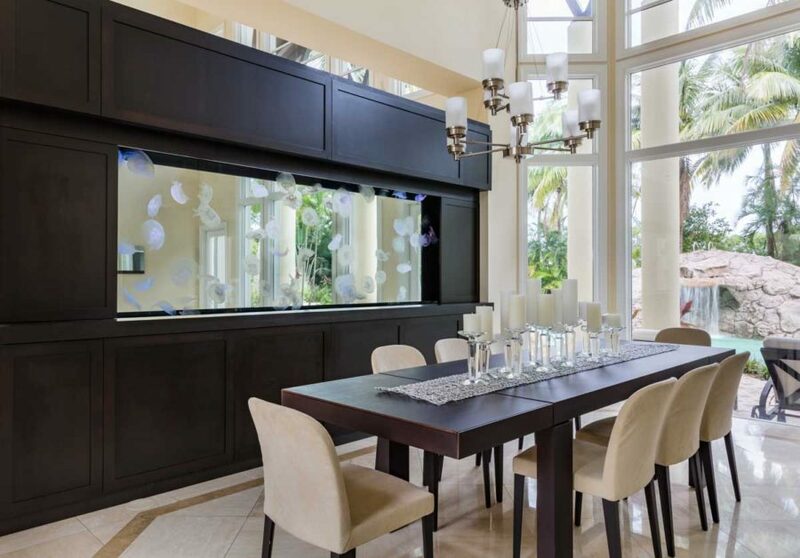 Measuring over 120″ x 14″ x 44″, from any angle it’s clear this 320 gallon jellyfish tank is spectacular.